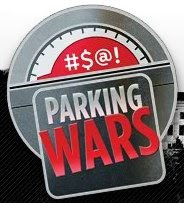 It looks as though the next four sessions of A&E’s successfully realty show Parking Wars, will be shot in Detroit. Previous sessions were shot in Philadelphia. No word on if the recent Michigan film incentives played a role in the shows decision to come to Detroit. The producers of the show; Hybrid Films, is negotiating with he City of Detroit, which will begin shooting this spring. The show is expected add close to $250,000 a year to the local economy. Other reality shows including Animal Planet’s Animal Cops (Anglia Television,) Spike TV’s DEA (Size 12 Productions) and Super Size Me director Morgan Spurlock’s 30 Days (Actual Reality Pictures) have all recently shot in Metro Detroit.